Whether it’s dinner and a movie or out for drinks, here are just some of my favorite looks and pieces that are sure to capture your date’s eye. Nothing says date night success like a simple, no fuss outfit. Feel free to leave the graphic tees, athletic apparel, & stinky shoes at home. Trust me, they don’t look good on anyone. What’s a look that you love on date night? 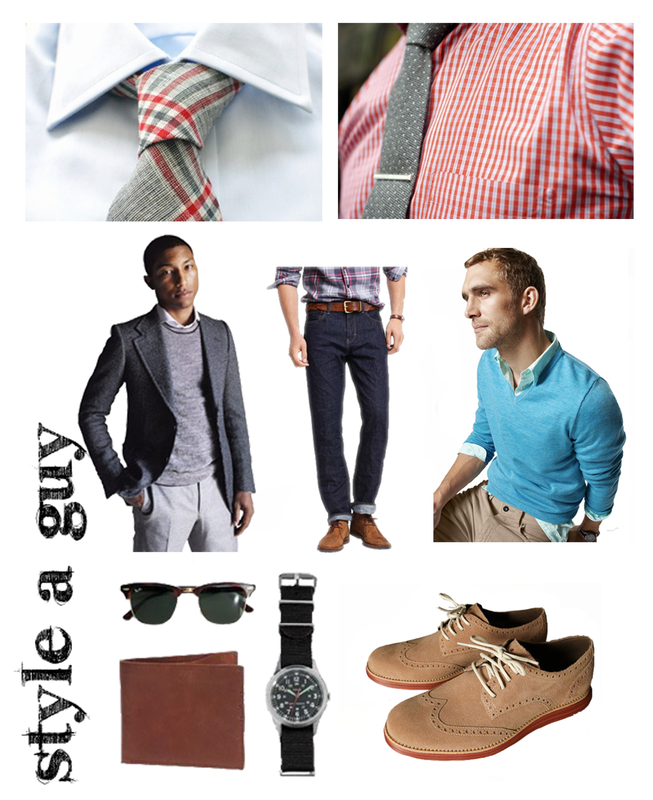 Love plaid shirts (or ties) and oxford looking shoes on a man. meow! Shouldn’t a guy be able to style himself? Great ideas. I agree a sharp look impresses a date much more than a look with little thought put into it.